Many companies will “match” the charitable contributions made by their employees. Through corporate gift matching, your employer can multiply your gift to Seeds of Learning, making it go further. 1. Check with your company’s Human Resources office to see if they offer gift matching. (If they don’t, you may want to ask your company to start a matching gift program). 2. 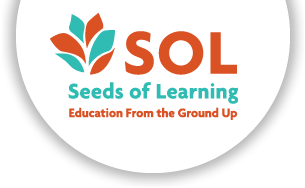 If your employer does offer this program, your Human Resources department should provide you with a matching gift form to send to Seeds of Learning. We will verify receipt of your gift and return the form to your company for matching funds. Keep in mind that many companies also match volunteer hours or gifts from spouses, retirees, and board members.